One of the most popular actors in Kollywood, Ajith Kumar starrer latest action movie Vedalam is flying high at box office. The movie was released this week on 10th of November worldwide on 1000 screens, that comprises with 520 screens in the state Tamil Nadu. It is getting overwhelmed response from audience across the globe and collecting decent business figures. Critics have reviewed it positive comments, which has boosted up its hype among audience. Vedalam was minted the amount of 15.50 crores from Tamil Nadu as its first day and become the highest opener movie in the history of Kollywood so far. From the next day, it was started facing drops in its occupancy as well as business and reported 10 crores on Wednesday, 8.5 crores on Thursday, 6.5 crores on Friday and 5.90 crores on Saturday. On the main day of the weekend, it showed decent performance and collected the amount of 5.30 crores as its sixth day collection. Till the end of its first weekend, total collection of Vedalam is recorded as 51.70 crores on TN screens. 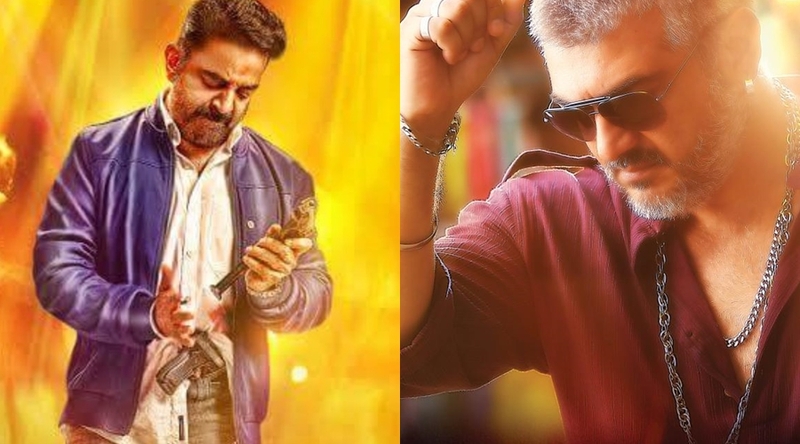 The adjacent release of superstar Kamal Haasan, Thoongavanam is also getting decent response at box office. This one has also based on the same genre action-thriller and was released on around 800 screens worldwide that comprises with 370 screens of Tamil Nadu. 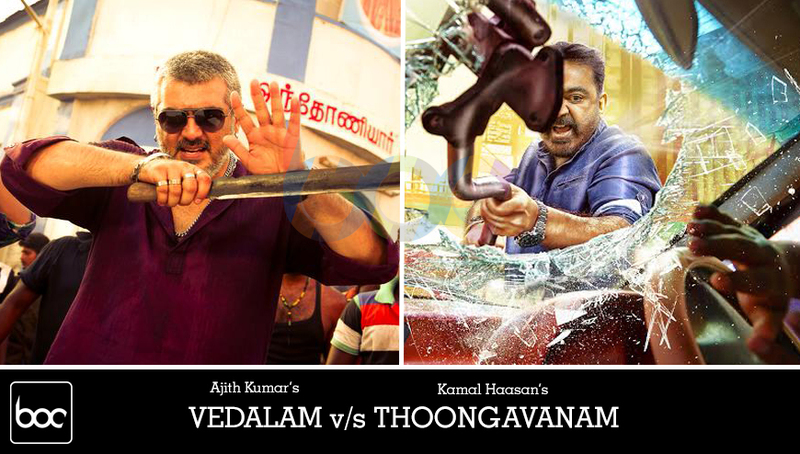 Critics have reviewed it with more favorable comments as compare to Vedalam. Audience find it very thrilling and created huge buzz about it everywhere. On the first day, it was minted the business of 9 crores with TN screens. 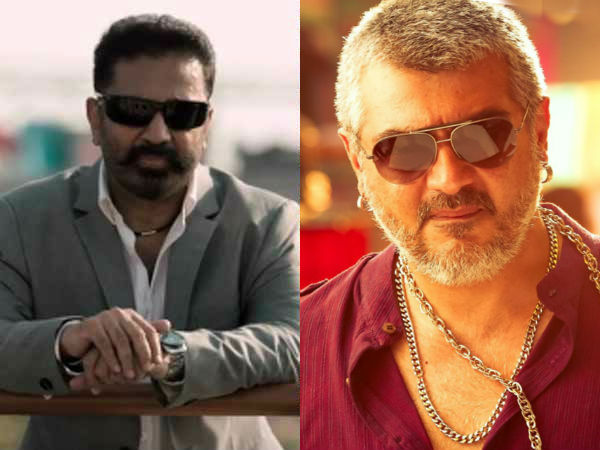 From the next day, it was also started facing drops as Vedalam in its occupancy as well as business. It raked the business figures of 4 crores on Wednesday, 3.25 crores on Thursday, 3 crores on Friday & 2.50 crores on Saturday. On the main day of weekend, it hasn’t showed any considerable rise in its business and collected decent amount of 2.30 crores*. Till the end of its first weekend, total collection Thoongavanam is recorded as 24.05 crores*.